A Coach can be a powerful support for achieving sustainable and positivity change in your career and life. Gerry is a skilled Business Leader who has the ability to quickly assess the situation, ask the hard questions and provide guidance. Gerry will work with you to remove the barriers and blind spots that stand between you and the job of your dreams. She believes you are the expert and you have the answers. She will engage in a confidential and trusting relationship with you as you take a powerful plunge to access your inner wisdom. Gerry uses the art of questioning, listening and observing together with honest, non-judgmental, patient inquiry to support you through a process of self discovery so that you will emerge with a new found self-awareness and clarity, focus and motivation for your next steps in the process. 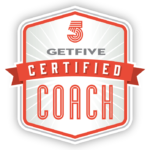 Gerry is a certified Coach with GetFive© a New York based firm who has been recognized by Fortune as “an organization with a strong record of helping people find jobs” GetFive is known as “The INNOVATORS in Career Management.” Gerry uses their proven and refined methodology, based on more than 25 years of research and experience which has resulted in the most successful step by step process that allows you to take command of your job search process and career transition. 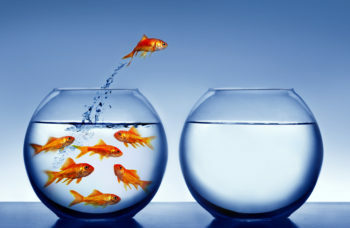 GetFive has a professional approach to the job search and Career Transitions. They have written the book, actually 10 books. To name a few: Targeting A Great Career, Packaging Yourself: The Targeted Resume, Mastering the Job Interview and more. The Methodology that you will engage in will prepare and position you for success. As your Coach Gerry will support you in securing a new position, transitioning with clear steps, starting a new business, creating a consulting practice or doing freelance work.